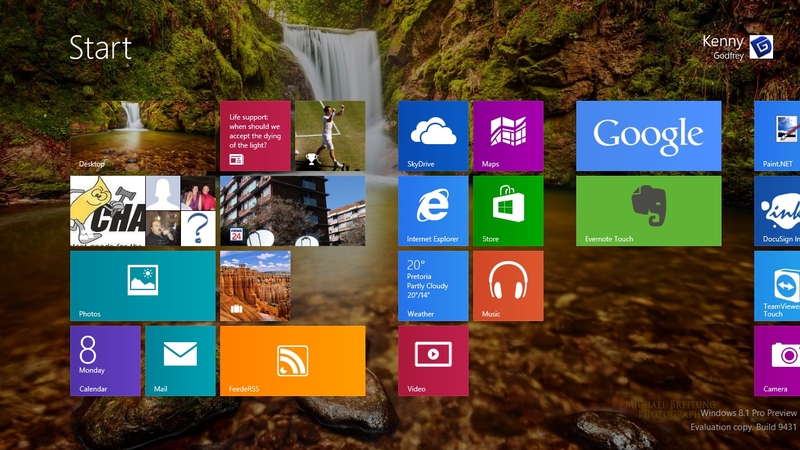 The Start screen feels completely alien in Windows 8. Press the Windows key and you’re whooshed from your desktop to a completely different environment with a completely different background that’s separate from your desktop background. If you want to set a custom background for your Start screen, well, you can’t — you can only choose from among the handful of weird Start screen backgrounds that Steven Sinofsky decided to give you. Windows 8.1 deals with this by providing an option to “Show my desktop background on Start.” It sounds like a small change, but using the same background on your Start screen makes it feel much less out of place. When you go to the Start screen, it will look as if the tiles (or list of installed apps) are hovering over your desktop rather than existing in a different environment. To enable this option: right-click the taskbar, select Properties, click the Navigation tab, and check the “Show my desktop background on Start” option.